The 2016 Dodge Dart arrives in the midst of yearly sales gains for the model.These vehicles are crafted with features that drivers want including fuel economy up to 41 miles per gallon during highway driving. Great packages combined with a very competitive price make this compact car model very attractive to drivers seeking out style, performance and overall value. The 2.0-liter Tigershark 1-4 engine powers the SE model together with a manual six speed transmission.This creates 160 horsepower and 148lb.-ft. of torque. This combination proudly gives EPA fuel ratings of 25 miles per gallon city, 36 miles per gallon highway and 29 miles per gallon combined. The 2016 Dodge Dart possesses remarkable body structure including body reinforcement and suspension that is very superior. The Dart has handling dynamics and steering precision that are both sporty and precise based on the Dart's engineered chassis being designed for a very enjoyable and smooth ride. The vehicle's suspension bush tunings enhance the vehicle's very quiet cabin and very capable handling. The 2016 Dodge Dart SXT boasts a 2.4-liter Tigershark 1-4 engine featuring MultiAir2 technology with 184 horsepower and 174lb.-ft of torque. This edition features the standard six speed transmission with the six speed Powertech automatic transmission option available. The 2016 Dodge Dart Aero model includes a 1.4-liter MultiAir Turbo engine, 160 horsepower and 184 lb.-ft of torque together with a six speed manual transmission delivers up to 41 miles per gallon on the highway. The 2016 Dodge Dart Limited model is for drivers that want to treat themselves making their driving experience just a bit more indulgent. This model comes with the 2.4-liter, 184 horsepower Tigershark four-cylinder engine grouped with the Powertech six-speed automatic transmission. The Limited includes many premium features that come standard including frequency sensing suspension and performance steering. 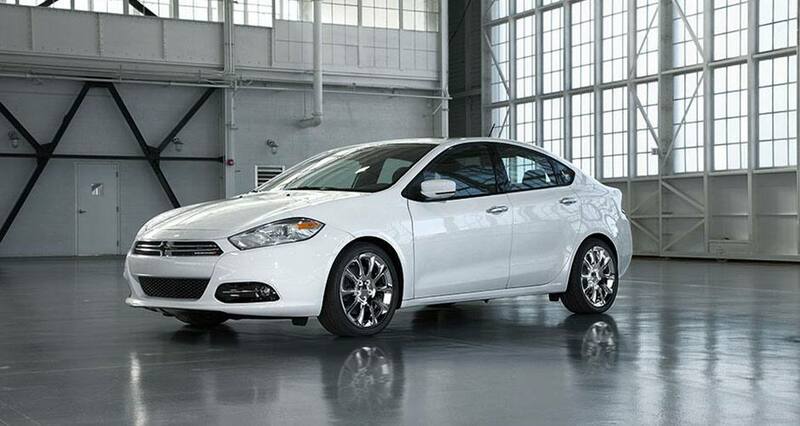 The 2016 Dodge Dart has a unique style with an exterior design that is athletic. The interior is sleek crafted with high quality materials and maximum attention to detail. This vehicle has race track signature LED tail lights and engineering for the maximum driving experience. This year's model continues to offer the Uconnect system which is class exclusive and includes a 8.4-inch available radio with touchscreen which is the largest within the segment. Hands free Bluetooth technology also allows drivers to take calls, tune radio stations and request real time information from Sirius XM Travel Link using voice commands while speaking naturally. The vehicle also includes a digital gauge cluster which is 7 inches and full color allowing the driver the ability to decide the format they want the information displayed in. The 2016 Dodge Dart is available in many colors including Go Mango Pearl Coat, Laser Blue Pearl Coat, Granite Crystal Metallic Clear Coat and many other exceptional choices. Customers can also select to purchase the Convenience Group which includes power door locks, power mirrors, air conditioning, remote keyless entry with panic alarm, active grille shutters and remote USB port. The 2016 Dodge Dart Blacktop Package includes Gloss Black exterior mirrors 18-inch Gloss Black aluminum wheels and all-season tires. The Dart SE Rallye Appearance Package gives a bold statement to the model, adding 17-inch Granite Crystal aluminum wheels, a black grille surround with black crosshair black headlamp bezels, and dark bumper. Equipment on the 2016 Dodge Dart SE model includes black Sedoso cloth seats with mesh inserts, soft-touch dash, electronic brake assist, electric power steering, Hill-start Assist (HSA) driver seat height adjuster, lock-on-sync tire-pressure sensors, three rear-seat head restraints, front-seat active headrests, sun visors with vanity mirrors, rearview day/night mirror, floor console with covered storage, audio input jack for mobile devices, satin silver shift knob, power windows with driver one-touch, two front cup holders, solar control glass, standard instrument cluster with tachometer, dual-note electric horns, tilt and telescopic steering column, grocery bag hooks, push/push fuel door, tire service kit and more. Can you help me finance my Dodge Dart? Where can I learn more about Len Stoler's monthly specials? 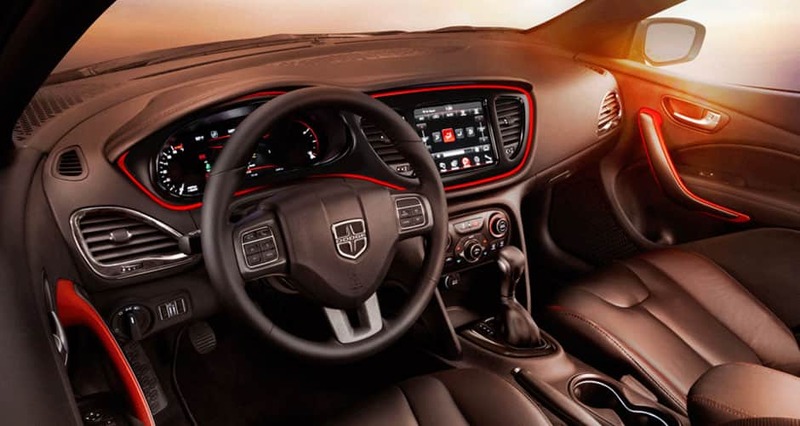 The Dodge Dart has more than 60 available security and safety features. The vehicle is constructed of 68 percent high strength steel which is among the highest within the industry. 10 air bags come standard on the Dart which is also a class leader. Also coming standard on all models is all speed traction control, Parkview rear backup control, electronic stability control, Rear Cross Path detection, LATCH anchors, Blind-spot monitoring and electronic roll mitigation. 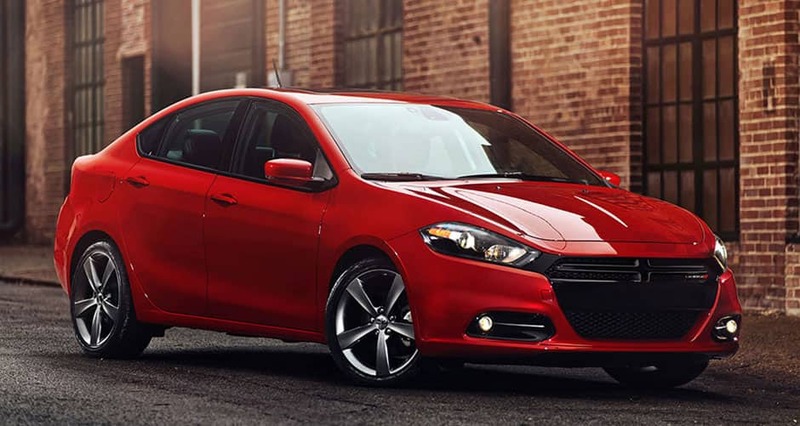 The 2016 Dodge Dart remains an overall value with a great sense of style and performance.